In order to make the meatballs for this soup uniform, or in other words, “all the same size” here is a recipe tip you will want to try. Making all of the meatballs the same size basically means they will all cook at the same rate. This is a good thing because you don’t want to bite into a meatball that hasn’t cooked all the way through. Here’s the tip: use a small melon baller or cookie scoop. We like to use Onieda Cookie Scoop. Fry meatballs in a large skillet, until no longer pink inside. Remove from heat. Drain. Combine all soup ingredients except spinach and orzo pasta. Bring to a boil, reduce heat to simmer, add spinach, pasta and meatballs. Cook until pasta is tender and soup is heated through. About 1 hour. *Make it an Italian Dinner Night at your house tonight. Serve steamy bowls of Italian Wedding Soup and Classic Italian Lasagna. Don’t forget the Gelato! I've never tried Italian Wedding Soup before, but it sure does look good, especially with the cheese on top! 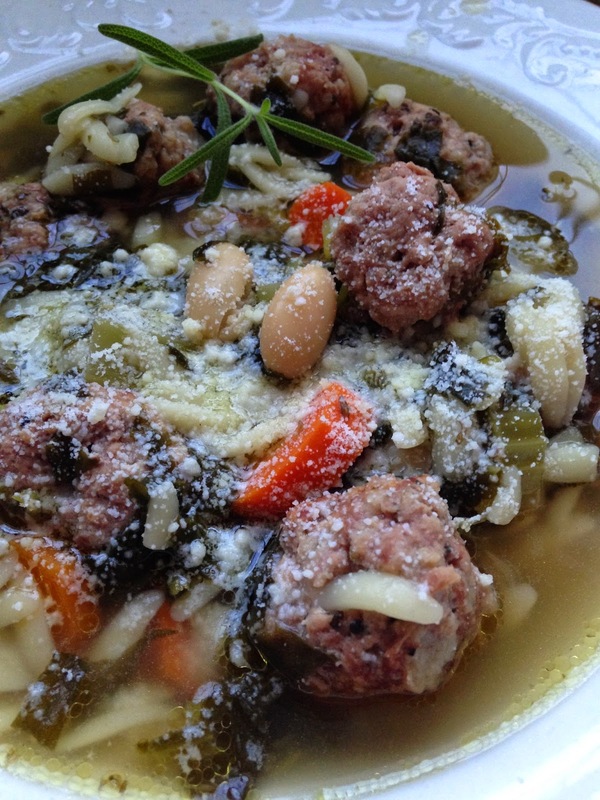 I love Italian wedding soup but have never made it myself–you make it look so good! You have got to try this recipe~ You'll love it! 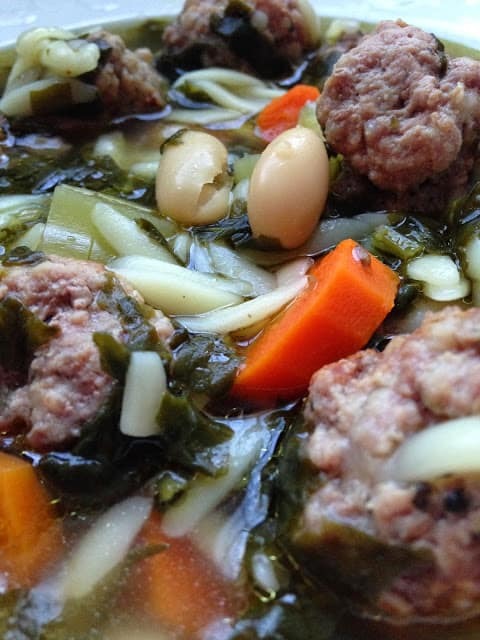 Italian Wedding Soup is one of my all-time favorite comfort foods and yours looks SO awesome. Great choice for the SRC! Looks good! This soup is perfect for winter – I'm impressed that you made it 3 times! I love all of the soup recipes this month. I wish I could have a bowl of each on this snowy day. Happy Reveal Day!! great choice to start 2015 on a fantastic note! Yum, this looks delicious! It has been so long since I have had Italian weddng soup. It would be perfect with this weather. This looks wonderful Lynn!! GREAT pick this month! Yummy!! So many delicious, comforting soups featured today – I love it! This looks WONDERFUL and perfect for this cool January weather. Happy Reveal Day! So glad you enjoyed it and thanks for your sweet words….I just made this on Saturday! We LOVE it!!! You can't go wrong with a good soup this time of year! We love Italian Wedding Soup and this recipe sounds wonderful. Thanks for sharing with SRC. Delicious. This soup looks like the perfect bowl full of comfort for a cold and wintery day. 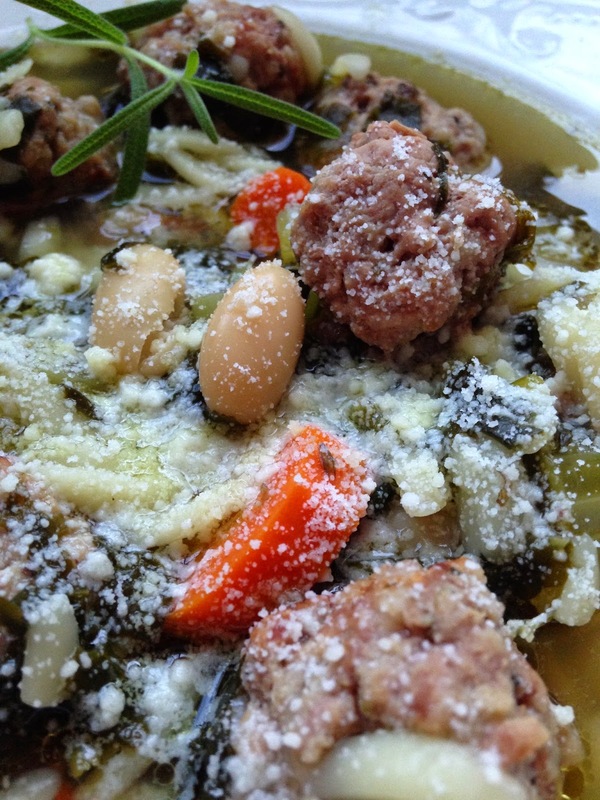 Italian Wedding Soup is such a great classic!! Yours looks so yummy with all that cheese sprinkled on top!! Oh, my! This looks amazingly delicious. Can't wait to give this a try. Thanks for sharing with the SRC.